JKS India organised an International karate training camp and championships from January 27th to 29th 2017 at Kolkata, India. The guest instructor was Shihan Takashi Yamaguchi, 7th Dan, former All Japan and World Champion and Head of the International department of JKS, under Kagawa Shihan. This is his 3rd visit to India. Shihan Bharat Sharma, Secretary of Karate Association of India (KAI) was also present at the inaugural ceremony, he also conducted special kumite class. 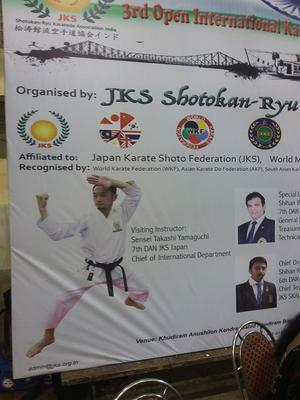 The event was organised by Shihan Koushik Basu, 6th Dan and head of JKS India and supported by Shihan Sudeep T Cyriac, 5th dan, head of JKS Shotojuku India. More than 400 karateka of all ranks participated in special training under Yamaguchi shihan. Shihan taught Heian kata, bassai, jion and number of innovative kumite combinations in the brown-black belt class. In the Championships, there was lots of action from boys, girls and cadets, all putting in maximum effort in the kata and kumite rounds. 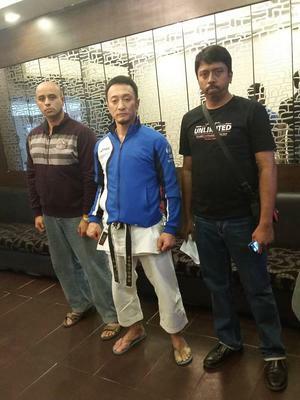 The JKS India team has recently trained at the JKS Honbu Dojo in Sugamo, Japan under Kagawa Shihan. 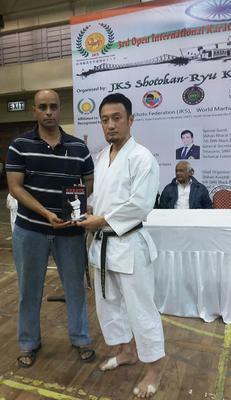 The JKS India chief, Shihan Koushik Basu, trained under JKA India and passed his JKA Shodan in 1995.